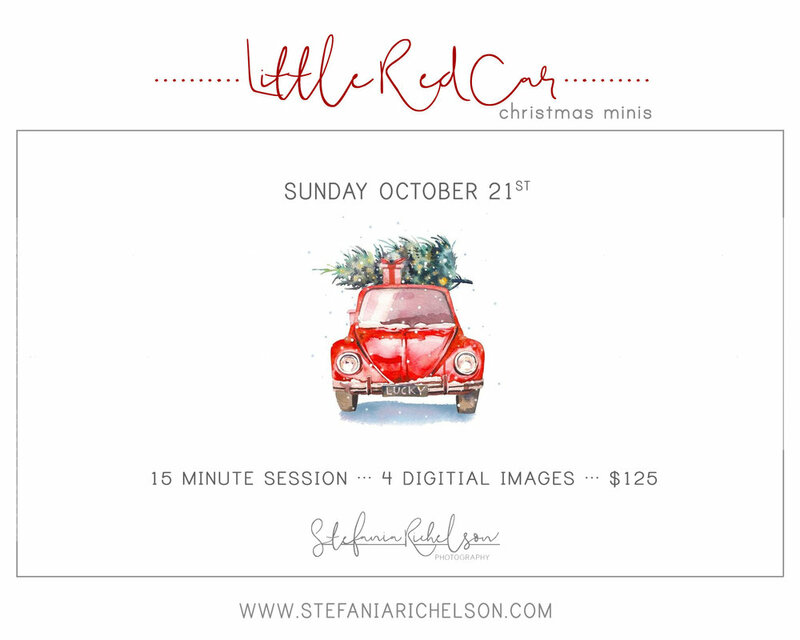 I am so excited to announce my styled mini sessions for this holiday season! I have the cutest little red vintage car lined up for us. It will be topped with a flannel blanket and a Christmas tree tied on top, perfectly wrapped packages, and a few other adorable touches!